Most of the times, people do not need to clean their roof skylights more than once or twice a year. However, people living in areas where strong winds blow, carrying dust and other particles, need to clean the skylights on regular basis. Usually, winds and rains take off any particles from the outer side of the skylight. Therefore, the outer part does not require much care. On the other hand, the inner part of the skylight requires frequent cleaning, as dust particles can stick to the inner surface, making it look dull. Therefore, one must keep a schedule of cleaning procedure, as per need. 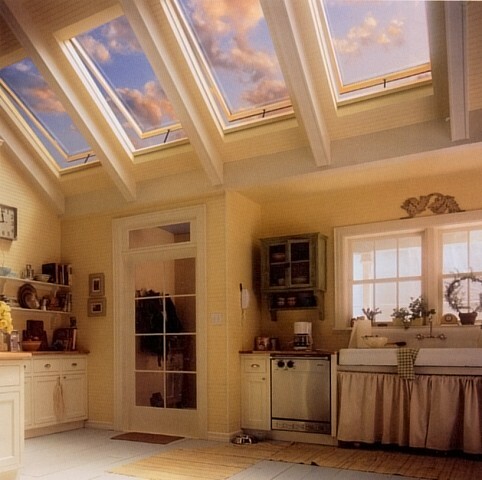 It will also increase the overall life of the skylights. On the other hand, if one does not clean the skylights, then they will become tardy and the sunlight will not pass through them, making the room or hall appear darker. So, if you have a skylight installed in the roof of any part of your house and you find it untidy, you do not need to ask someone to clean it. In fact, you can easily do it yourself, while saving a lot of money. 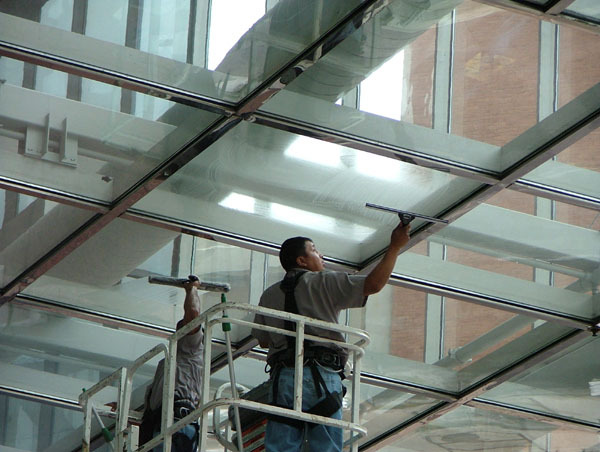 Using a ladder or scaffolding, reach the skylights which you plan to clean. Make sure you stand at a place where you can move your hands freely. Otherwise, it will become difficult for you to properly clean the skylights. 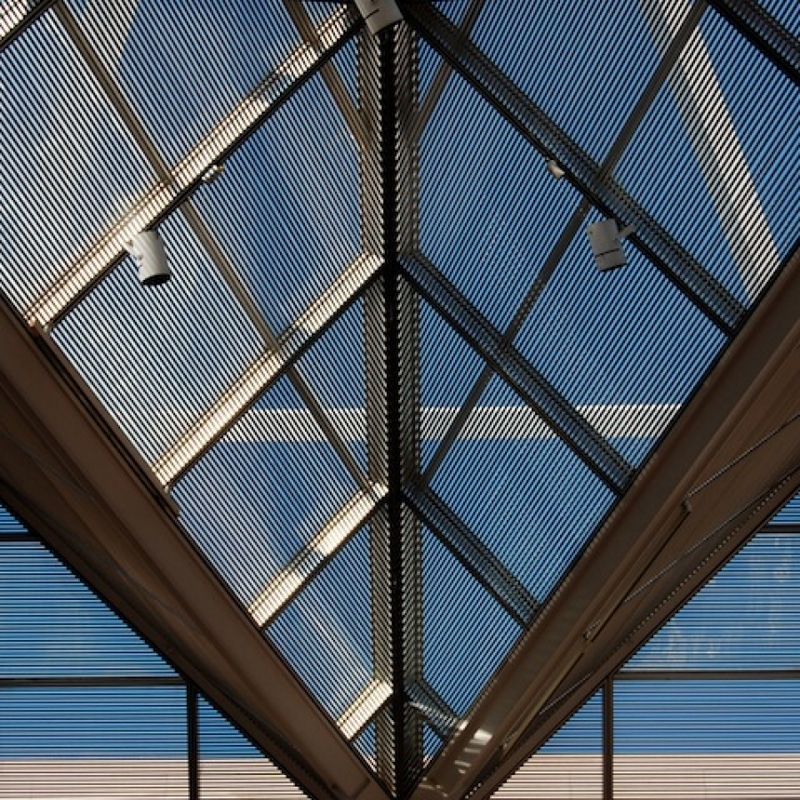 Use a piece of cloth to clean the inner surface by wiping from the top to the bottom of the skylight. Take a bucket of water and mix in few drops of mild detergent. Soak the skylights in the mixture you created. It will loosen the grip of the dirt from the skylights. Now spray the glass cleaner over the glass of the skylights, wipe off the mixture that you applied along with the glass cleaner by using a lint-free cloth. Clean the wooden frame of the skylights. You can do it by using a damp cloth. You can also use any detergent to wipe off any dirt on it. If you have screens installed in your highlights, then you can clean them after removing them from the windows. Spray them with garden hose and allow them to dry. After you find them completely dry and clean, place them back in the windows. You can now see a difference in the lighting in the room.